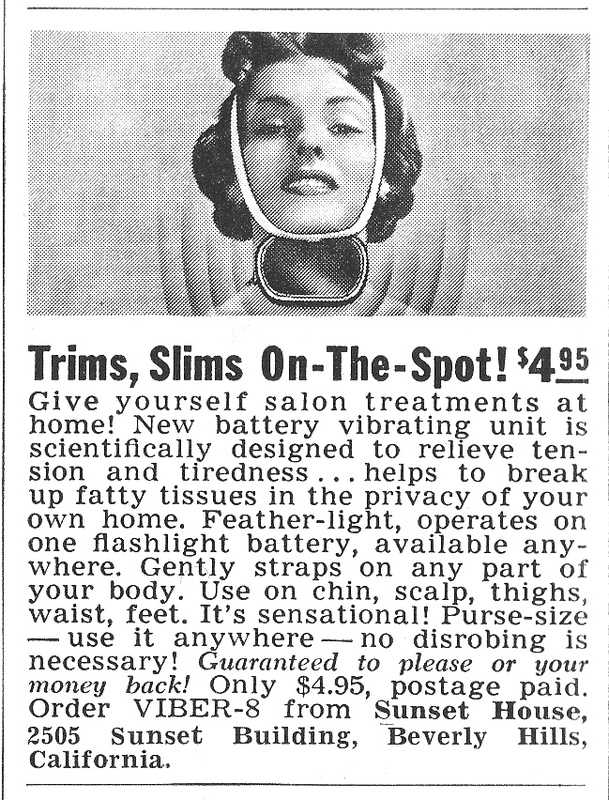 Trims, Slims On-The -Spot – No Disrobing is Necessary! Fatty tissues on your feet! And how fabulously clever is VIBER-8 as a name? Love it. This from American Home September 1958.